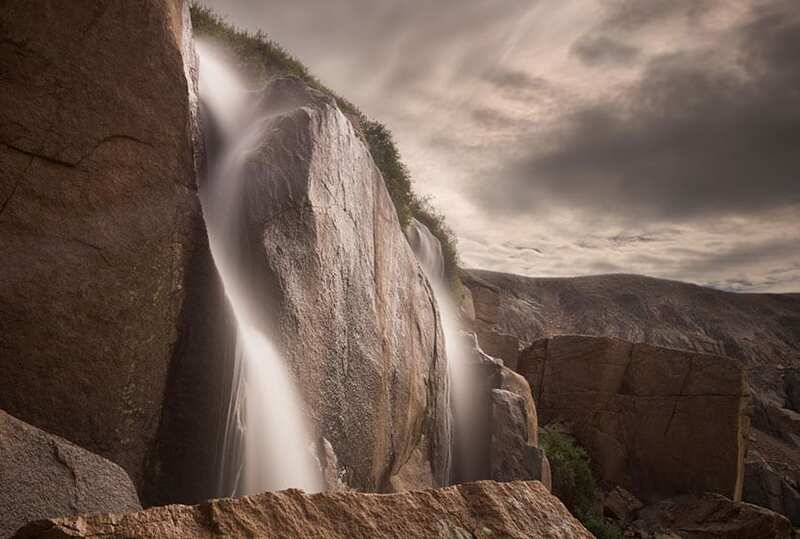 Trio Falls is among the most stunning waterfalls that you will encounter in Rocky Mountain National Park, or in Colorado. But it comes at a price: A 15-mile round-trip, demanding hike. Because of this, the hike up to Trio Falls may best be part of an overnight camping trip in the park. 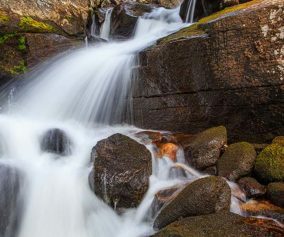 Explore the full Trio Falls hike profile below for trail map, driving directions, and more tips and details to help you enjoy this adventure in Rocky Mountain National Park. 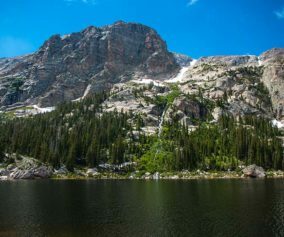 The hike up to Trio Falls in Rocky Mountain National Park combines both distance and a fair amount of elevation gain to make this a very challenging hike. Because Trio Falls is 7 1/2 miles from the trailhead, few make the journey; but the solitude and the sights are worth it to those who make the effort. 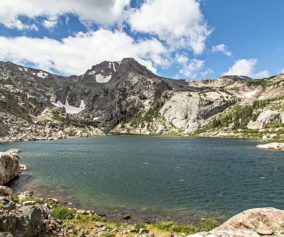 Because the round-trip hike is 15+ miles, it’s advisable to make this hike a part of a multi-day camping trip in the park. If you are considering camping, there are several reservable backcountry camping spots in the Wild Basin area, and camping permits can be obtained through the RMNP Wilderness offices. Trio Falls is located between Lion Lake #1 and Lion Lake #2 in the Wild Basin. 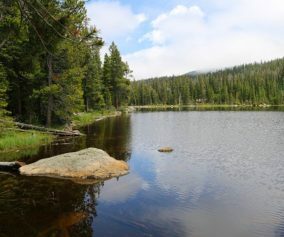 For a detailed trail description of the almost 7-mile hike to Lion Lake #1, which takes hikers past three other waterfalls, be sure to explore the trail profile for Lion Lake #1. 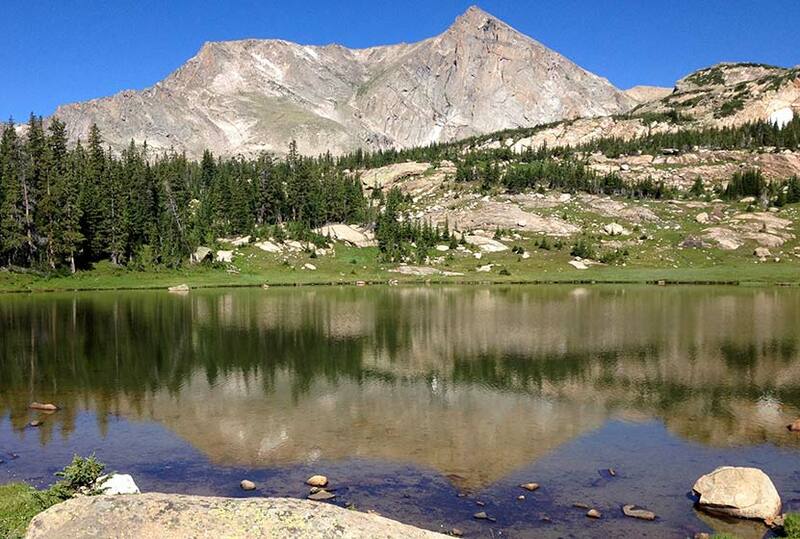 Lion Lake #1 – Courtesy of Shea Oliver. At Lion Lake #1, there is a social trail that runs along the right/east side of the lake. Because this next segment is on unmaintained trails in a remote section of the park, hikers should possess both land navigation skills, map, and equipment. This social trail leads for about 1/2 mile along the lake, beyond into rocky terrain, and eventually to the waterfall. There are a lower and an upper set of cascades to Trio Falls. Following the trail past the lower cascades requires a scramble and negotiating an passage through thick willows and rock. Hikers should exercise extra caution in this wet and rocky terrain. Recommended Trail Map: We recommend the National Geographic Trails Illustrated Map which indicates the location of Trio Falls, and provides topo information. TIP: There are food storage lockers available at the Wild Basin, Finch Lake, and Sandbeach Lake Trailheads. Itinerary: It should go without saying, but be sure to always leave an itinerary with family and/or friends, and give them a call when you are back at the trailhead or within cell range. Another Waterfall: If you are lucky and there is an ample flow of water, another waterfall can be spotted pouring down from the cliffs near Trio Falls. Get there early: Parking may be limited as with many hikes in RMNP area and can get full even early in the morning. Photo: We would like to express our gratitude to Steven Bratman for sharing such an amazing photograph of this hike to Trio Falls in RMNP.